Coming into University, Roza Kalashnikoff did not think she had what it takes to be a varsity student-athlete. Four years later, she’s had the chance to be a part of two varsity teams for the Victoria Vikes. 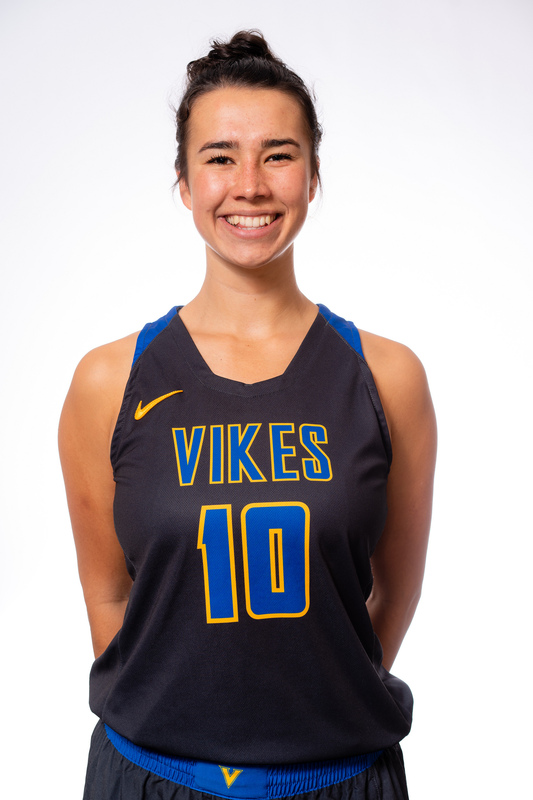 A rower for two and a half years, Kalashnikoff currently finds herself in the midst of her first season on the Vikes women’s basketball team. Every fall, Vikes rowers recruit students they feel would be a good fit for the team. During Kalashnikoff’s first week of school, the six-foot Vernon, B.C. native was quickly noticed by a rowing athlete for her athletic frame. Though she was not very familiar with the sport, with the encouragement of her parents Kalashnikoff decided to try out. 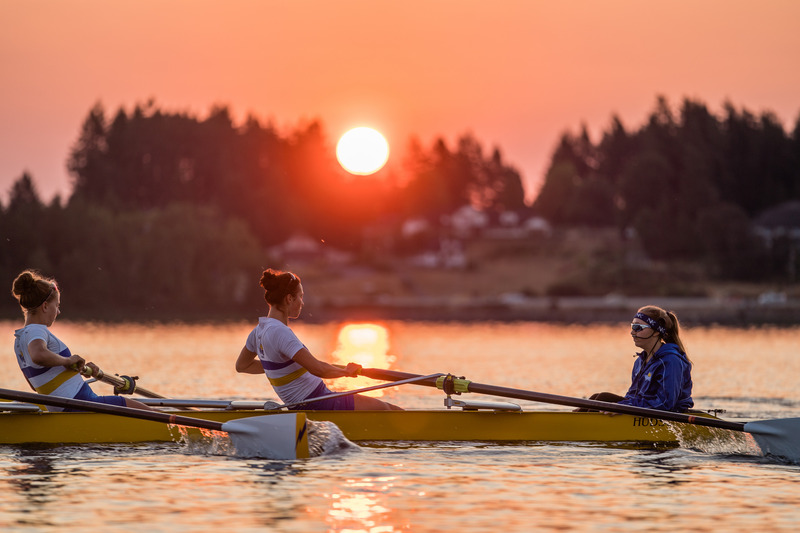 As her rowing performance kept evolving, Kalashnikoff credits Vikes current rowing assistant coach York Langerfield with helping her tremendously and always encouraging her. 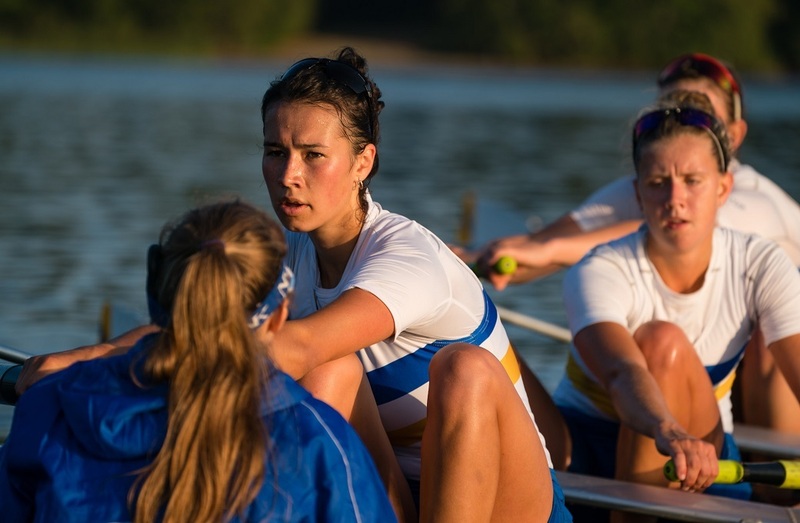 In 2016, her efforts didn’t go unnoticed, being awarded Novice of the Year, earning a spot on the Vikes Honour Roll and a silver medal at the Canadian University Rowing Championships in the women's eight. “That was huge for me,” she says. “I was not expecting to be picked that year. I didn’t really have much of the application but the coaching staff thought it was a good match. It felt amazing to be a part of that, go to Ontario (for the national championships in Welland) and represent my school. “Seeing that I didn’t know anything about the sport…I just tried to learn as much as I can and do as much as I can,” Kalashnikoff adds. Kalashnikoff’s love was in basketball. After coming from a small high school, she didn’t have the chance of playing competitively until reaching Grade 10. Often, she would often play intramurals instead. 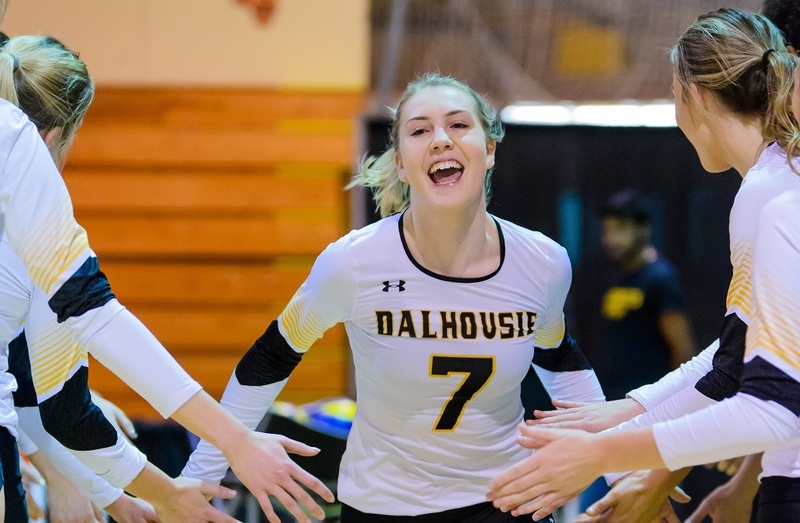 But once she arrived at UVic, Kalashnikoff was noticed by head coach Dani Sinclair. With some unfinished business with the sport she decided to try out, and made the team. 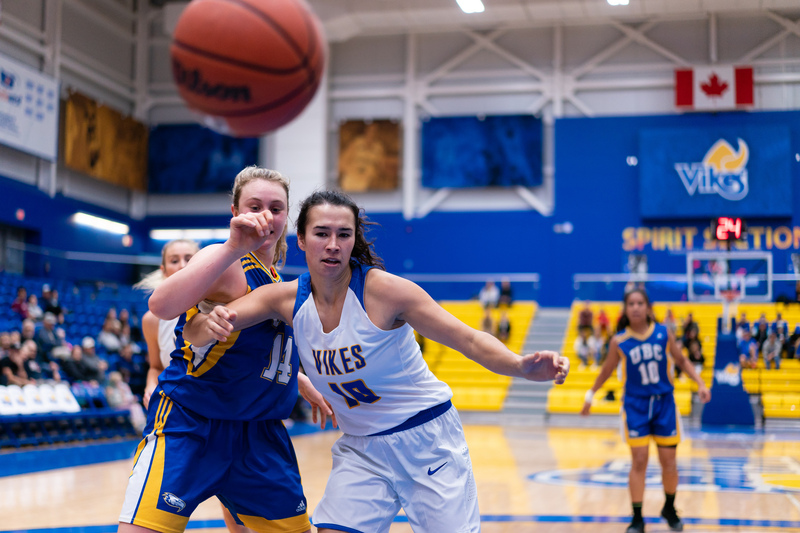 She just wrapped up her rookie season with the squad, which hosts Fraser Valley in a Canada West play-in game on Friday night. 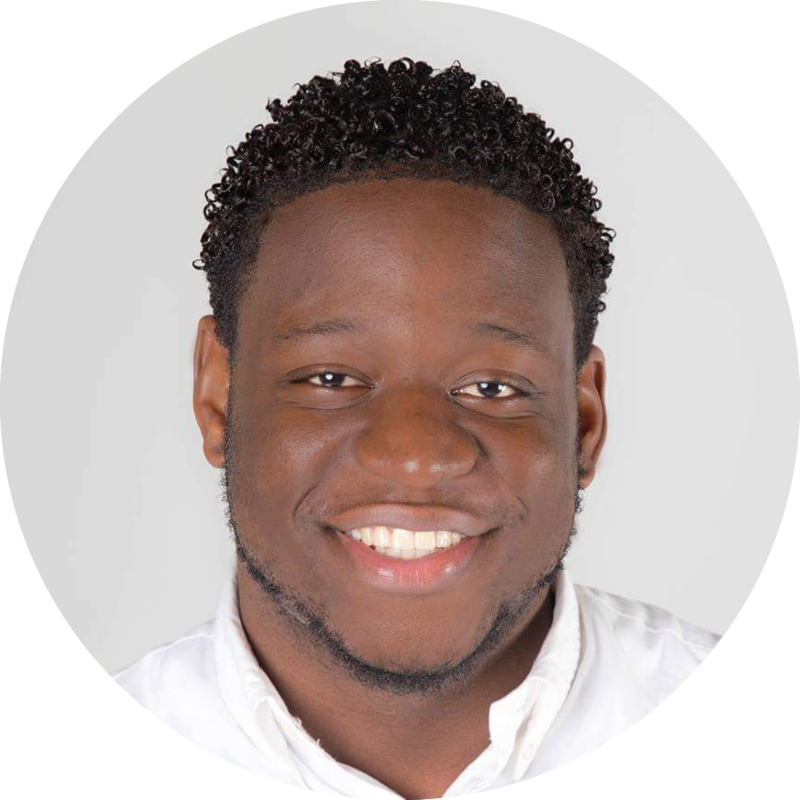 Kalashnikoff’s work-ethic speaks for itself. Her competitiveness has allowed her to make two varsity teams in sports that she had little experience in. Growing up, she played soccer, volleyball and also swimming. Her athletic background has paid dividends in her university career and has allowed her to be ready to compete in anything. “My skill and experience are less than others, so I feel like I need to work harder,” she says. Switching from rowing to basketball was not an easy transition. Kalashnikoff had difficulty controlling her wind at first, having transitioned from a fit sport to a hand sport. But her competitive nature has helped her grow rapidly. As she relearns the sport that she loves, Kalashnikoff is embracing every opportunity and is eager to continue to learn from her coaching staff and teammates, have left a positive mark on everyone she’s played with. “Roza has made everyone around her better and is an important member of our program." A level that allowed her to make multiple varsity teams when she thought wasn’t talented enough for even one.